Can I Put More Refrigerant Into My AC on My Own? 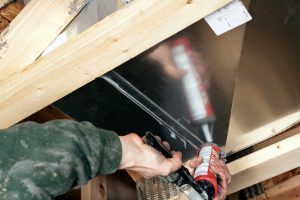 Homeowners often ask this question about refrigerant because of a basic misunderstanding about what refrigerant is and what it does. 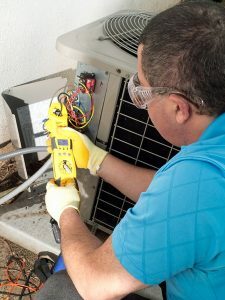 We’re going to go into more detail to address the question because it helps people grasp how air conditioning systems work, and because it can help alert to a serious AC repair issue. Posted in Air Conditioning | Comments Off on Can I Put More Refrigerant Into My AC on My Own? You expect to pay more on your electrical bills during the height of summer because you have to run the air conditioning system during most days. The compressor in the AC—the heart of the system that is responsible for starting the cooling cycle—draws on large amounts of electricity when it runs. However, have you noticed that your electrical bills this summer seem, well, much higher than normal? More than you would expect based on how much you use the air conditioner? Inflated utility bills are often warnings that there’s a problem in the HVAC system placing excess stress on the air conditioner. The issue may be inside the AC, but many people don’t realize the source could be in the ductwork.